Those who are into small and deformed Kamen Rider figures, here is another treat for you this August. 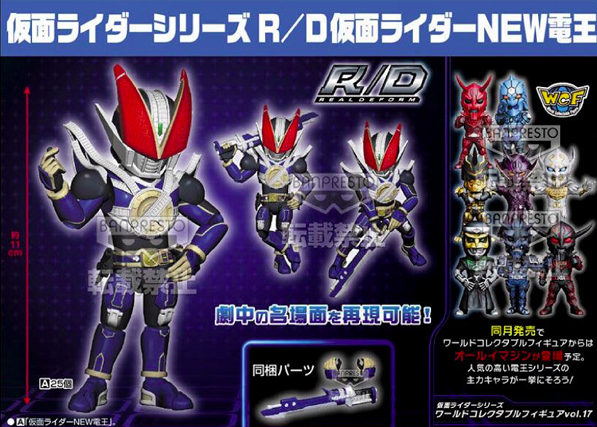 Banpresto is set to release the R/D (Real Deform) Kamen Rider New Den-O! The figure represents the 2008 movie rider who first appeared in the film Saraba Kamen Rider Den-O: Final Countdown. 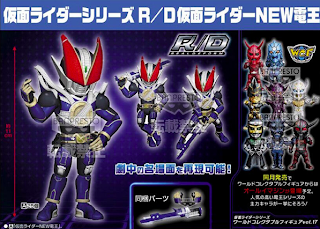 R/D Kamen Rider New Den-O stands about 110mm tall and will include 2 extra hands and the Macheteddy. Price is around 2,300 yen. How are these able to be purchased? I followed the R/D release of the W figure and never saw any online stores stock it. What about the Decade figure?